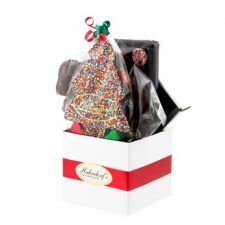 Universally, chocolate is considered the king among gifts. 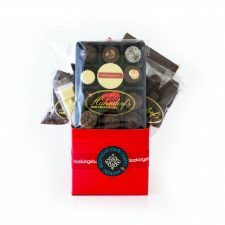 Whether for a close friend or simply a business acquaintance, it is almost always a sure thing. 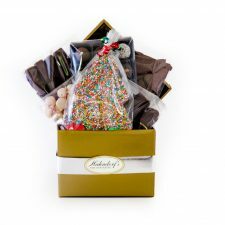 The range of corporate gift hampers from Boutique Chocolates & Hampers features baskets of all sizes that are sure to please employees and clients alike. 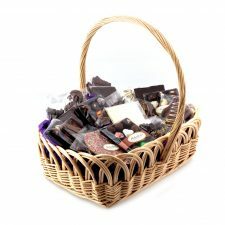 We have a selection that features small tokens of appreciation, right up to large baskets to really make a big impression. 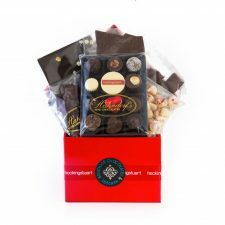 Boutique Chocolates & Hampers only sell products from Hahndorf’s Fine Chocolates. 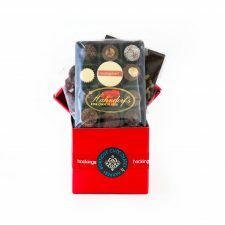 Hahndorf’s has been providing businesses across Melbourne and Australia with an easy way to impress clients and show employees they are appreciated with the very best chocolate. 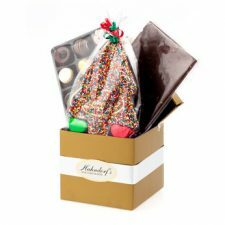 Regardless of your budget or the occasion, our corporate gift hampers are sure to be a hit. 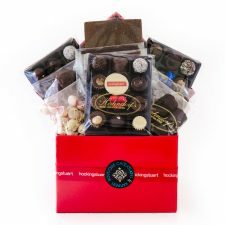 Whether you’re in Perth, Sydney, Melbourne, Adelaide or Brisbane, we will deliver our corporate gift hampers at no extra cost. Simply spend $85 or more and you won’t be charged an extra cent for shipping. We are committed to the highest standards of customer care and satisfaction, which is shown in the top-quality of our products and our dedication to doing the little things right. 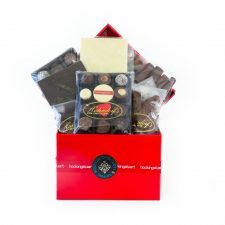 Your hampers will arrive in perfect condition, ensuring they reach the recipients looking professional and gorgeous, allowing you to give the best impression. 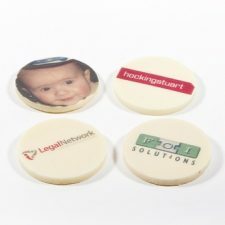 For more information contact our team today. 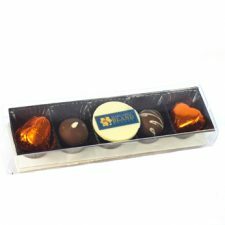 We will be happy to discuss your requirements and help you choose the best possible corporate gift hampers to satisfy your clients and employees. Pick up the phone and call our team on 1300 77 88 45. 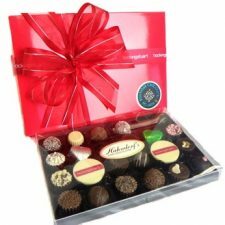 Our helpful and friendly staff will answer your questions and queries, ensuring you can make an informed purchasing decision. If you would rather, fill in our contact form and we will get back to you as soon as we can.